Real men don’t cry – oh yes they do! This week was a great week for letting out a few tears. Having children, and now a grand-child, will, inevitably, bring up emotional challenges that need to be embraced and possibly resolved; although these days I am in a space where I let things unfold and resolve themselves more and more without interfering too much, if at all. But it does not stop my tears. It does not stop Master Adrian having a few moments or minutes of emotional release. When my children are going through ‘their ‘stuff’ it does impact on me emotionally. I do feel their anguish, pain, confusion or hurt. When I feel this I allow the tears to come – and they do – sometimes in torrents. The old saying, that I am sure many of you have heard (and may continue to hear), of ‘Real men don’t cry‘ is not true in my case. I do cry. I choose to engage with my emotions and let them be real. For me, this is being a real man. Getting in touch with, and expressing our emotions as men is such an important part of growing into our mastery; into being real and authentic. I have witnessed many men who lock up their true emotions; covering them up or swallowing them down to the point of illness and deep suffering. I was counselling a man a few years ago, who was going through a rough patch in his life. He shed a few tears in the session and told me that it was only the second time in his life that he had ever cried. He was in his mid forties! This is quite a common thing for men; not to express and share their deeper emotions. It is something that many women would like to see their partners, brothers, sons, male friends and fathers do; to share these deeper emotions. It is also what many men, like myself, who have the freedom and the gift to express our deeper emotions, would love to see happen for other men. I would like to say to everyone – Real men do cry! This weeks cake is a yummy Ginger and Almond Cake. Ingredients: 1 egg, 230 grams plain flour, 200 grams sugar, 180 grams butter, 1/4 teaspoon salt, 125 grams glace ginger, 50 grams flaked almonds. Method: Warm the oven. Melt the butter. Beat the egg (keeping a small amount aside for glazing the almonds later) and mix with melted butter. Then add the sugar, salt and glace ginger and mix thoroughly. Then add the flour and mix really well. Place the mixture into a lined/greased tin – about 20 cm’s round or equivalent. I used a ring tin. Place the sliced almonds on top of mixture and then brush with egg and sprinkle with sugar. Bake for 40 – 45 minutes at approx 180 degrees. Then let the cake cool in the tin for 10 minutes, turn out and eat! This week I have been in a place of reflection and looking at ways to stay present, focused and in a place of response, rather than reaction. I have been focused on staying calm and collected to things that have been going on around me. Master Adrian was certainly very present this week, whilst Little Adrian had time to play and have fun. The reflection comes from the fact that one of my sons turns 21 this week. HAPPY BIRTHDAY. It gave me reason to reflect back to when I was 21 – wow – it all seems so long ago. At that age I was living in Berlin, living a wild kind of life and working for the British military – as a pest controller! I had started to read the first books in the Duncton Wood series, by William Horwood at about 19 years of age – they were written and published over a time span of about 10 years, with 7 books in the series. It was at the age of about 21 that i was reading the second or third book in the series. 30 years later and I am now reading them all over again. I am currently on the second book – Duncton Found, and am loving the memories of when I first read them. They are about magic and journeying and ritual and honour, about friendship and loving and battles and fury. I remember when first reading the books, how I related to certain characters in the books – who by the way are Moles, for those of you who do not know the books. As I re-read the books now, I have new favourites, along with some of the old ones, as I see and understand new aspects of myself. I have been reflecting on my children’s journey – all six of them – as they journey through life and are faced with their own challenges of stepping into adulthood. My second son turns 21 this week and he already has a daughter – my grand-daughter – and I wonder how life will be for her too. This week I/ we were challenged with a family ‘drama’. I have chosen to stay neutral in the situation – tying to support everyone – trying not to get caught up in the ‘dramas’ that often escalate when emotions are involved. My focus has been to hold the vision that it will pass, that everyone will be okay and that each of us will learn a valuable lesson. I feel that the timing of the Duncton Moles arriving has been perfect. Good old Boswell – the Scribe mole, with his wisdom. He has given me the strength this week to hold my focus. It is just amazing what an old mole can do – thanks Boswell! Teachers come in all shapes and sizes. So what sort of cake does one make with all this in mind? The cake this week is a ‘Baby Banana and Mango Puree Cake’. It is a cake for all generations – including babies. Ingredients: 3 eggs, 300 grams of self raising four, 150 grams of sugar, 250 grams of butter, 170 gram jar of baby puree – mango and banana flavour. I use all organic ingredients – it makes such a difference. The puree is from the children’s section in the shop, where they sell organic baby puree. Method: Mix the sugar and butter together with a mixer, add the 3 eggs and mix together, add the puree and mix together for about one minute with mixer. Then slowly add the flour whilst mixing. Mix thoroughly for two minutes with mixer. Line cake tin with butter and add mixture. I used a 20 cm ring tin. Bake for approx 35 minutes at 170c. Cool in the tin for 10 minutes – remove and eat! Hello, and we lcome to another week of The Boy and the Cake. From last Thursday, for four days, I was at a Wellbeing Expo as an exhibitor and presenter, presenting three ‘Where am ‘I’ Right Now?’ presentations. For four days I really connected to Master Adrian. Little Adrian was hardly ever present – except when it was time to eat a slice (or two) of cake each day. At the end of one presentation, whilst opening the session up for questions, I was asked when I had first connected to, and named, Master Adrian. 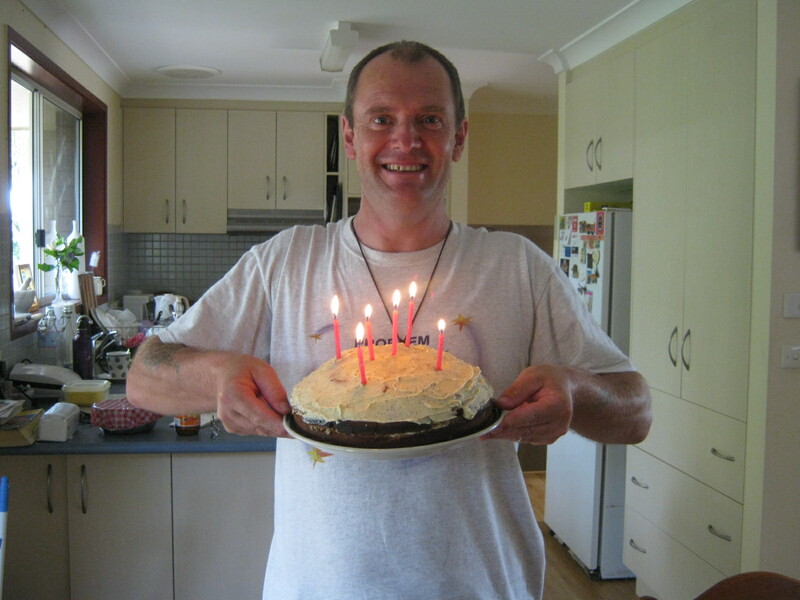 I answered by saying – ‘Back in about 2002 – 10 years ago – whilst studying to be a counsellor and psychotherapist’. During that time, I was trying to identify with the one (inside of me) who would be responsible, able, willing and centred enough, to work with people in a counselling situation. As a second year Psychophonetics counselling student, I was starting to see clients (whilst under supervision) and it was sometimes very daunting for me. By connecting to an aspect of myself as an anchor point, as a solid foundation, I was more able to step into the role of being a counsellor. 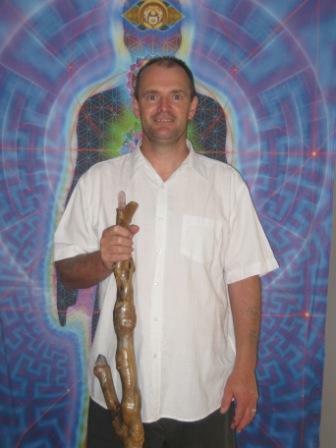 Holding, and using, the name, Master Adrian, has been a great way for me to stay focused and centred in all that I do in the world, physically, emotionally, mentally and spiritually. Each day he gets bigger and stronger, each day he takes on more energy, more strength, more courage and more wisdom. I say Master Adrian differently than I did before. The way in which I say MASTER ADRIAN, gets more solid and powerful every time I feel and experience a shift; a surge in my growth. Today’s cake is about the celebration of stepping up and owning our greatness. 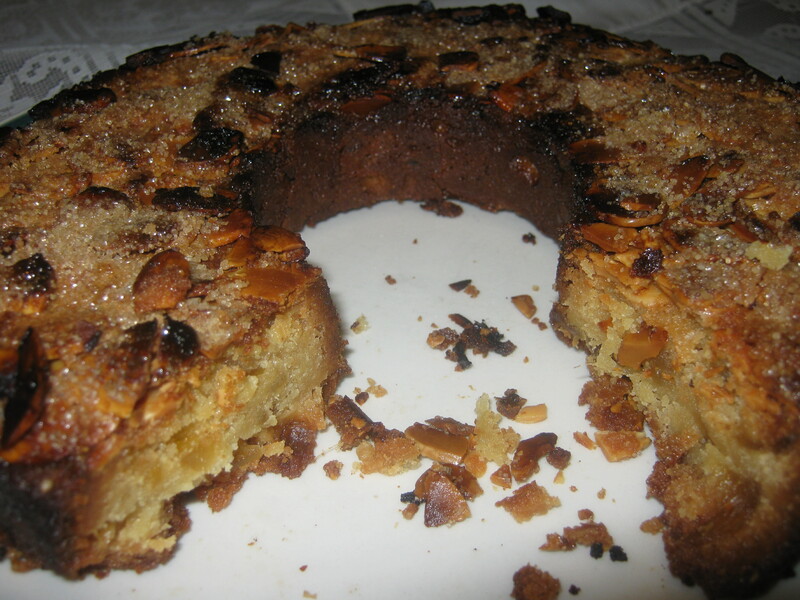 I love almonds and almond cake, so today, we, Little Adrian and Master Adrian, baked a Sweet Almond Cake. Ingredients: 3 eggs, 150 grams of butter, 1 cup of sugar, 1 teaspoon of Almond essence or extract, 1 1/2 cups of plain flour, 3 teaspoons of baking powder, 75 grams of almond meal, 75 grams of almond flakes (slightly crushed), 3/4 cup of milk. Method: Blend the sugar, butter and almond essence/extract together well with mixer. Beat in the eggs. Add the flour, baking powder and almond meal slowly along with the milk. Mix well. Add the slightly crushed almond flakes to the mixture and stir in. 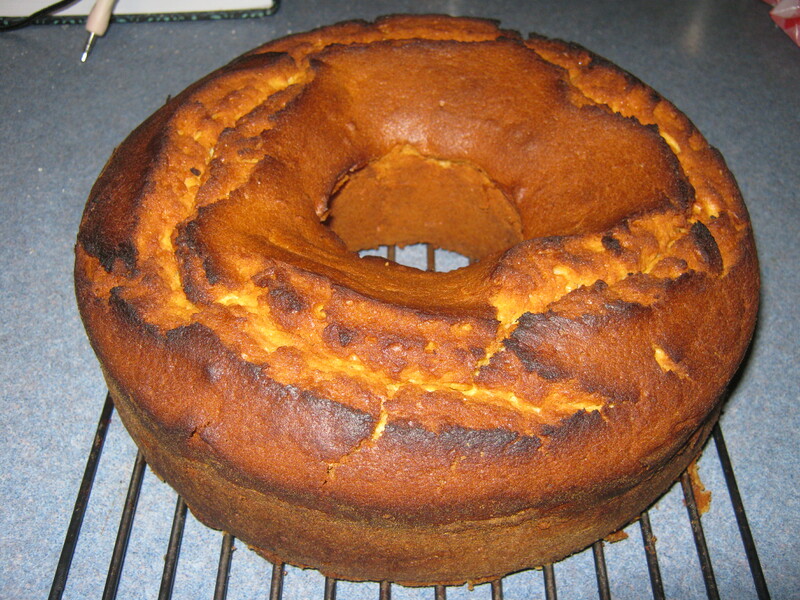 Place mixture in a greased/buttered 20 – 25 cm round cake tin. Bake for approximately 50 minutes at 150 – 160 degrees. I cover the top of the cake with a tray for the last 10 minutes. Leave to cool in the tin for 10 minutes – turn out and eat!